For those who dream of living at the corner of convenience and solitude, we have but one word to share: welcome. 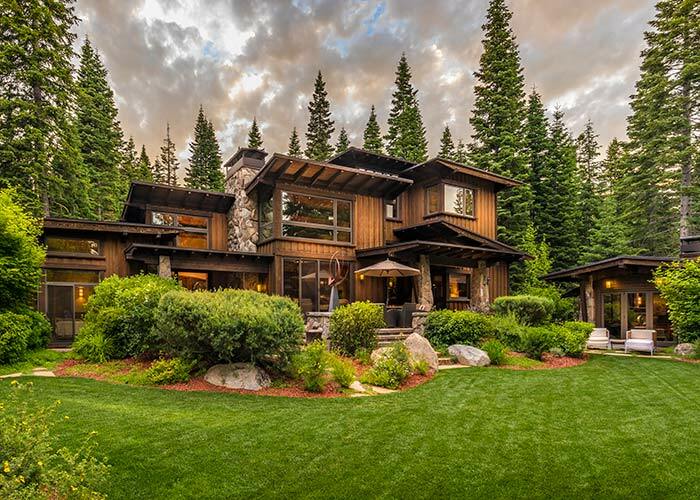 On one hand, this mountain modern masterpiece is a one-minute walk from the Camp Lodge, maybe three from the Family Barn. The golf path is handy, too, just a chip shot from south- and east-facing decks. 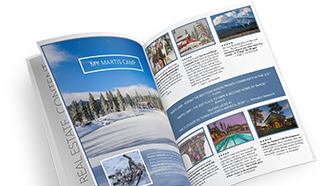 Yet while you’re within minutes of everything from pottery class to a Swedish massage, you can also opt to break out the telescope, camp out under the covers or light the fire, turn the lights low and settle into an evening that feels like you’re a million miles from the rat race. This 3,250-square-foot home, designed by Walton Architecture & Engineering, makes the most of its impressive views of Lookout Mountain and Sawtooth, including from a kitchen that centers around a stunning flamed black granite counter. Pocket doors separating the living room and deck disappear into the wall, removing all barriers between the great indoors and the great beyond. Upstairs is an observation/media room wrapped in window while downstairs is a casual, screened-in dining nook with radiant heat. Floors are solid, hand-scraped oak, beams and ceiling decking are Douglas fir, and utilities include the likes of Bosch, Wolf, Miele, Sub Zero and a deep, porcelain, Rohl farmhouse sink. Many upgrades have been added to this home.